In an instant it's a realisation that the simple thump of the beat, thick behind the creeping electronics of it all, gives 'Sign 2' a robust uncrackable foundation. This beat ballast bumps below steadily allowing the real rhythm of the track to be in the colliding melody of the synth, sharp yet muted like a dull kitchen knife; here is the hook, in the syncopation of these notes, the coherence in their uncomplicated pattern, transferable with ease from ears to fidgeting feet. 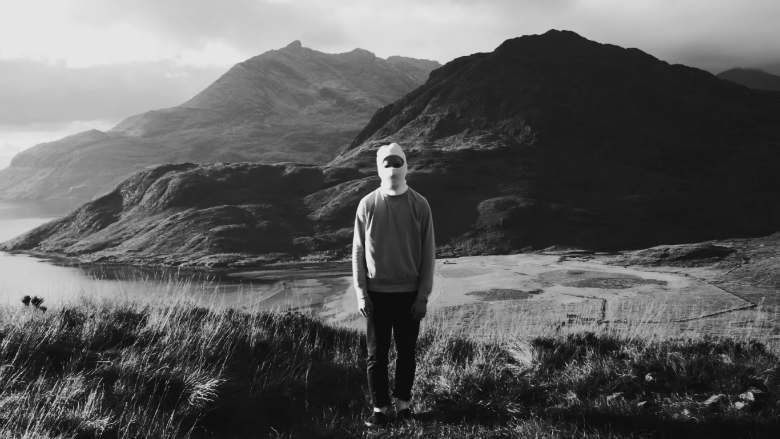 Like the constant of big desolate landscapes depicted in the video for the track, directed by Black Fly himself and in which the viewer sees him dancing, so too in the actual music do the electronics skip and skitter on a big digestible backdrop. The bass guitar also provides uncluttered rhythmic direction. But alongside this sensibility for movement is mayhem, goth-flavoured in taste and with hints of noise. The vocals growl, almost purring, in the verse, hovering just above and below monotone in a stoic procession, rising emotively in the choruses. And post-chorus the electronics become more intense, quench the ears' thirst for more and more noise, gratify with white noise abrasive whirling in this new sonic gale and the gravity of it increased with zigzagging synth arpeggio fierce and piercing and trance-like. These saw-tooth endeavours add elemental difference to what is certainly not a simple electropop song—there's a keen desire to exhibit darkness, to mix shuffling shoes and introverted expressionism, a howling wall-of-noise you can move to. 🔔 'Sign 2' is the Vermont, USA-based Black Fly's second single (the first is called 'I Don't Know'). Both of them were mixed by David Tolomei, who has also mixed tracks for Beach House and Future Islands.